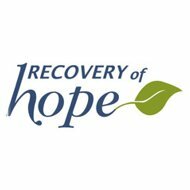 Send A Message To Recovery Of Hope Counselling Centre. Relationships with our partners and children or parents and extended family are both a reflection of our life experience and an expression of who we are. When close relationships are in distress, we can feel confused, drained and helpless. Therapy can help to make sense of that confusion, identifying dysfunctional patterns and building new, authentic and deeper connections with the ones you love. Clients grow in self-awareness and acceptance as we work towards resolving struggles such as anxiety, depression and loss of confidence. Lois is a therapist holding a Masters in Marriage and Family Therapy and has worked for years as a Registered Social Worker with a child and family agency. She enjoys working with children (any age) and families as well as with couples and individuals using a variety of approaches such as Emotionally Focused Therapy, Internal Family Systems therapy and Narrative Therapy. Therapy may include mindfulness work as well as art or experiential approaches. As well, Lois is a certified facilitator of the Circle of Security parenting course which is an attachment based program that helps parents to understand and respond to their children’s attachment needs. Tara holds a Master’s Degree from Yorkville University in Counselling Psychology and a Bachelor of Arts degree from Queen’s University. She has completed her Emotion Focus Therapy for couples. She is a trained Eye Movement Desensitization and Reprocessing (EMDR) therapist. Tara is the current Executive Director of the Mood Disorders Association of Manitoba. She sits as Vice-Chair of Addictions Foundation of Manitoba. Tara brings her knowledge of mental illness and depression to helping those who struggle to find recovery. Prior to this Tara worked in the long term care sector as an administrator. She served on the Social Services Advisory Committee which gave her understanding of the complexities of the social support system. She has knowledge of the present health system and can work with agencies and organizations. Tara focuses on mental illness, trauma and depression recovery, grief, seniors, younger adults and couples therapy. Tara has had her own life challenges and brings this life experience and empathy to her counselling role. She has been widowed and a lone parent to four children. She is now blessed with a husband and a blended family of seven adult children and two-daughters-in-law. Tara grew up in Winnipeg and currently lives on a farm outside of the city. Tara has a warm and understanding approach to helping people when their life seems overwhelming. Tara believes all people will find hope and a better life when supported with compassion and understanding. Wayne graduated from Providence Theological Seminary with his M.A. in Counselling in 2009 and is a Registered Social Worker. He has worked with Recovery of Hope in the Portage la Prairie office since July of 2011 and in Winnipeg since 2015. Since 1998 he has worked with Youth for Christ in a variety of roles, the most recent being with Uturn, a transitional housing project for homeless youth in Brandon. Wayne has a warm, compassionate stance that enables him to help clients feel at ease, quickly building strong relationships early. Wayne approaches counselling from a client centered perspective and is greatly influenced by attachment theory and Self-Regulation Therapy/ Somatic Experiencing techniques and systems theories. When working with couples Wayne leans on Emotional Focused Therapy as a foundation for his work. Wayne is married with three children and enjoys playing and writing music and loves fishing and being on the water. Sharon helps her clients to enhance their resilience as they face life’s challenges. Along with her master’s level training in counselling psychology, Sharon brings extensive experience as a registered nurse and counsellor in working with individuals who experience mental health and addiction issues. Sharon is particularly interested in helping individuals and groups move towards healing and recovery with regard to: addictions (substance and behavioural), anger, anxiety, chronic health problems & pain, depression, difficult life transitions, grief and loss, mental health disorders, relationship skills, self-image, sleep problems, smoking / tobacco cessation, stress and burnout, and trauma. Sharon focuses on the promotion of optimal health in all areas of life: mental, emotional, physical, social, and spiritual. Her approach to counselling draws upon the principles of Cognitive Behavioural Therapy (CBT), a short-term practical psychotherapy treatment that focuses on problem-solving and creating change. Clients experience healing and recovery as they develop healthier ways of thinking, feeling, and behaving. Kevin has worked as a therapist for Recovery of Hope for over 10 years and during this time has travelled to satellite offices in Steinbach, Altona & Winkler. Now that he is employed full time at the Whyte Ridge Baptist church as a pastor, he restricts his time to ½ day at the Winnipeg location. Kevin loves his role as a counsellor. He especially enjoys working with couples, helping young adults plot life/transitional issues and exploring spiritual matters with clients. His style is deeply empathic as well as reflective and authentic as a therapist. Lynda is an experienced clinician who spent the early years of her career as a front-line protection worker for Child & Family Services. Her subsequent training as a family therapist opened up further opportunities to explore issues with couples and families, parents and teens as well as those who have experienced childhood and spousal abuse. Prior to starting with Recovery of Hope, Lynda worked for the Manitoba Government EAP, New Directions for Children, Youth, Adults & Family, and the Multiple Sclerosis Society. Lynda has made a lifelong commitment to wholeness; within society, the family and the individual. She is passionate about seeking ways to better understand the obstacles to growth and development, and to help people remove these obstacles. Lynda employs systemic thinking to help people imagine their way to a more complete and balanced life. In addition to her work as a therapist, Lynda divides her time as a sessional instructor at Canadian Mennonite University, a volunteer in her church and as a wife and mother. The decision to entrust your life story to a stranger can be difficult. It is my goal as a counsellor to acknowledge the courage it takes and honour your story. Many of us come to points in our lives when an outside voice can help us navigate rough spots in our life’s journey. As a counsellor I work with people to help them over and through those rough spots supporting them as they tap into strengths and skills they have and building on them. Our life stories are impacted by how healthy we are physically, psychologically, emotionally, relationally and spiritually. As a counsellor I am open to addressing a client’s needs in each of these areas with the ultimate goal for you to grow in self-awareness and develop healthy relationships. My passion is to help children and adolescents along with their families who are dealing with anxiety, depression, anger management issues, bullying, grief and loss, separation and divorce, social skills deficits, conflict with parents/caregivers and self-harming behaviour. My experience includes working for Child and Family Services of Central Manitoba in various capacities for 20+ years and I've just completed 13 years as the Social Work Clinician for Pine Creek School Division. Joyce is a warm compassionate individual who brings a wealth of experience and knowledge to her work as a therapist. She has over 30 years of experience in the education system, 10 as a school counsellor, completed a year-long practicum at the New Directions Parenting Centre, and has held a variety of volunteer roles in church ministry. In private practice, Joyce has worked with diverse clientele on numerous issues. She is Canadian Counsellor Certified (CCC), and offers services in English, French, and Dutch. Joyce is married, has four adult children, two lovely daughters-in-law, and six young grandchildren. Joyce is Director for Manitoba/Nunavut on the board of the Canadian Counselling and Psychotherapy Association (CCPA), active with the Attachment Network, a Registered Parenting Educator for Circle of Security Parenting©, and a Roots of Empathy Instructor. Children and parenting are Joyce’s specialties. She believes that early investment in the emotional, social, and mental health of children can help with current challenges while preparing them for lifelong success. Through a caring connection, she facilitates growth and healing by listening, talking, collaborative planning, and a variety of activities. Joyce is passionate about the inherent worth of each individual, their life stories, and their current experiences. She counsels from a growth mindset, believing that people are able to work through issues, learn, and develop throughout their lifespan. Personal qualities of kindness, gentleness, and patience allow clients to share difficult stories in a safe therapeutic relationship. As a counsellor, Josi works from the awareness that we are whole beings; the physical, emotional, cognitive, and spiritual aspects of our personhood work together to make us and our lives unique. When resolving problems or seeking to enrich our life experience, all facets of our being come into play to help us identify changes we might need to implement and find the resources we need within us. As a certified counsellor who values the importance of the relationship between client and therapist, Josi feels privileged to walk with her clients on that journey. Josi specializes in Women’s Issues, helping women and adolescent girls make sense of their life experience and work towards meaningful change. Over the past 15 years, she has helped individuals resolve problems and grow through concerns related to depression, anxiety, self esteem, grief and loss, chronic pain, life transitions, and spirituality. Josi lives in Steinbach where she enjoys her four adult children and their spouses and her four perfect grandchildren. In her leisure time she reads, enjoys travel, laughs for hours with her sisters, volunteers with her church, and is proud to be a novice quilter. Laura is Canadian Certified Counsellor (Canadian Counselling and Psychotherapy Association) and has a master’s degree with a focus in counselling. She works from a strengths based approach and her counselling style has been influenced by a variety of theoretical approaches including: Cognitive Behavioural Therapy, Narrative Therapy, Choice Theory, Motivational Interviewing, and others. However, she believes a relationship of trust and unconditional regard that is fostered in the counselling setting is the most important catalyst for positive change. Laura feels it is an honour to participate with her clients on their journeys toward healing and well-being. She has worked with clients who have a variety of presenting issues and her most recent area of focus has been mental health, particularly the spectrum of problems related to anxiety and depression. Laura has experience working with adults and youth. In addition to counselling at Recovery of Hope, she also works with individuals and families in a high school setting. Rita grew up in Pennsylvania and completed an undergraduate degree at Millersville University in Sociology with a strong concentration in Psychology. She touched base with Eden when she first moved to Canada, having worked at Philhaven in Pennsylvania, a facility that has a similar history to EHCS. Upon completing her Master of Education degree in the Guidance and Counselling Program at the U of M she began working for Recovery of Hope in the Winkler office. She lives with her husband and two young children in Plum Coulee and attends Gospel Mission Church. In addition to her work as a counsellor, she spends time homeschooling her children and attending soccer, dance and hockey events. As a therapist, Rita uses a theoretical integrative approach, taking into consideration the individual and their situation. She enjoys helping people work through life struggles towards a place of greater wellness. She has experience working with clients from a variety of backgrounds and ages, as well as an array of issues and concerns. Rita is a trained Prepare/Enrich facilitator and uses this training when working with couples seeking to improve or strengthen their relationships. With over 12 years of experience as a Mental Health Clinician and Brief Treatment Therapist, Melanie continues to be in awe and inspired by the human capacity we all have to heal and create positive change in our lives. Melanie has worked with a diverse population including those struggling with addictions, trauma, grief and loss and persons with anxiety/mood disorders. She has provided counselling services to adults, families, couples, children and adolescents. She has a special interest in women’s mental health and providing therapy to postpartum women. Her graduate studies for the U of M Masters of Social Work program (clinical area of specialization) focused on perinatal mental health and supporting women in their transition into motherhood. Melanie appreciates that we are all unique individuals and tailors her therapy approach to the specific needs and goals of clients. She is experienced and formally trained in various therapy modalities such as Cognitive Behavioral Therapy, Dialectical Behavior Therapy, Motivational Interviewing, Solution-Focused, Family Systems, Narrative and Attachment-based counseling. Melanie considers it an honor and privilege to work alongside clients in their journey towards improving their overall wellbeing. Diana received her Bachelor of Arts degree in Psychology from the University of Nebraska-Lincoln, and her Master’s degree in Counselling from Providence Theological Seminary. She currently works at the satellite office in Winkler. Born and raised in Southern California, Diana offers a warm, open and nonjudgmental approach to her counselling, allowing her to quickly establish a strong and trusting relationship with her clients. She works from a cognitive-behavioral approach, customizing it to the clients' individual needs, while maintaining focus on building from their strengths, empowering and encouraging clients, and focusing on hope. Diana enjoys helping clients through transitional periods, in particular through grief and loss. She especially enjoys working with women, international clients, couples/marriage counseling, and working with parents of special needs children (drawing on her own experience of raising a child with autism). She facilitates a support group in Winkler's Central Station for parents of children with special needs, which is open to all caregivers or loved ones of a child with special needs living in southern Manitoba. Diana is fluent in Spanish. In her leisure time, Diana enjoys travelling (anywhere) with her husband and children, enjoying God's beauty through nature, and listening to jazz in the park with her family. Marcy has a BA in Social Sciences from the University of Western Ontario, a B.Ed. from the University of Winnipeg, and an MA in Counselling from Providence Theological Seminary. With thirty years of experience teaching in elementary and high schools she has a good understanding of the field of education and has a heart for all students, whether they are K-12 or in university. She works with women of all ages who are encountering issues such as depression, parenting or child-related concerns, or staying emotionally involved in their relationships. She also works with individuals, families or couples struggling with everyday life. In her counselling, Marcy integrates her life experience, which includes her husband, a family of seven children and 18 grandchildren, with her Christian theological, psychological and educational background. She uses approaches that include Attachment Theory, Dialectical Behavioral Therapy and Emotion Focused Therapy. It is her desire to come alongside people who are hurting to help them have a sense of shalom: completeness, wholeness, health, and peace. Terry is a therapist, parent consultant and course facilitator who works in southern Manitoba. She has a Master of Arts in Counselling and has been authorized by the Neufeld Institute as a Parent Consultant and Practitioner (www.neufeldinstitute.com). She understands the ongoing challenges that parents and educators face and is passionate about providing them with support, guidance and practical strategies that can enhance their role with children. Terry is convinced that although parenting can be a tough journey, it can also be a very rewarding experience. She uses an attachment-based, insight approach to help people find meaningful and practical solutions that preserve their most precious relationships. In addition to her work as a parent educator, Terry offers therapy services to those who struggle with depression, anxiety, addictions, trauma and issues within their relationships. It is not easy to capture the essence of a successful counselling experience. However, finding a good connection with a therapist and feeling understood can provide the framework for effort that contributes to transformation. At the heart of Val’s work is a focus on the interconnections between a client’s body, mind, emotional and spiritual well-being. She is concerned about how trauma interferes with a person’s well-being, and experience in their world. It is her belief that people have an innate ability to move towards healing and is honored to participate in that journey with her clients. Val has a Master’s in Marriage & Family Counselling and most recently has studied Self-Regulation Therapy, completing a number of courses related to this counselling approach. In over 20 years of working as a counsellor she has worked with people addressing a wide range of issues including grief & loss, depression, anxiety, parenting concerns, and couple conflict. In addition to her work with clients, Val holds the position of Clinical Director at Recovery of Hope.